Hans Ulrich Obrist explained curating in a 2014 article in The Guardian: “Today, curating as a profession means at least four things. It means to preserve, in the sense of safeguarding the heritage of art. It means to be the selector of new work. It means to connect to art history. And it means displaying or arranging the work. But it’s more than that. Before 1800, few people went to exhibitions. Now hundreds of millions of people visit them every year. It’s a mass medium and a ritual. The curator sets it up so that it becomes an extraordinary experience and not just illustrations or spatialised books.” At Kolaj Magazine, hundreds of collage exhibitions pass across our desks each year and for the lion’s share of these exhibitions, the medium itself is the theme or curatorial premise. What is it about collage that prevents curators from asking deeper questions about the artwork, that prevents bolder stories from being told and an “extraordinary experience” from being offered? In this session at Kolaj Fest New Orleans, Kolaj Magazine Editor Ric Kasini Kadour will present a brief overview of collage exhibitions and present his curatorial premise of the “Revolutionary Paths” exhibition taking place at Antenna Gallery during Kolaj Fest New Orleans. Dillon Raborn will reflect on the presentation of box reel collages by iconic New Orleans trumpeter Louis Armstrong, which was included at the New Orleans Jazz Museum in the Old U.S. Mint as part of “Prospect 4: The Lotus in Spite of the Swamp”. 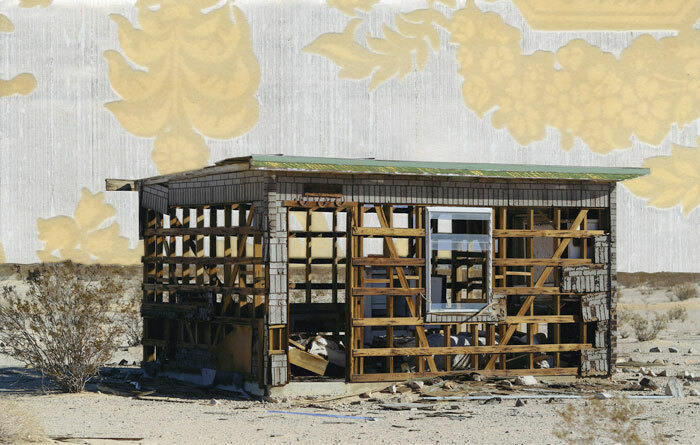 Los Angeles-based artist Chelsea Dean will present on “Disparate Sources: Los Angeles Collage”, an exhibition she curated in early 2018 which showed seventeen artists who utilize and push the boundaries of traditional collage through a variety of processes, methods, materials, and styles. JRC is a collagist and transmedia storyteller who will share how he has presented collage over the past twenty years at art festivals, solo and group performance art pieces, and executed transmedia storytelling projects. Todd Bartel is an artist and teacher. He is the founder and Gallery Director of the Cambridge School of Weston’s Thompson Gallery, which is dedicated to thematic inquiry. In 2012, he curated “Collage at 100”, a five-part, year-long exhibition series that celebrated the centennial of the appearance of collage in painting. In this session, the discussion will focus on how collage fits into this “mass medium and ritual”; what collage artists need to know about how curators put together an exhibition; and concerns art presenters should consider when mounting collage exhibitions.